For each strain, researchers divided the proteins into those found on the cell envelope and those in the cytoplasm. More than 1,600 proteins -- 904 from the cell envelopes and 723 from the cytoplasm -- were found to be common among the strains, and from those, nine new potential vaccine candidates were identified. In addition, scientists looked at the connection between bacterial phenotype -- the microbes' observable characteristics and behavior -- and the resistance signatures that studying the proteins revealed; they found seven matching phenotype clusters between already-known signatures and the ones uncovered by proteomic analysis. Microbiology is now an advanced scientific field, focusing on the study of various microscopic organisms like fungus, bacteria, virus, etc. 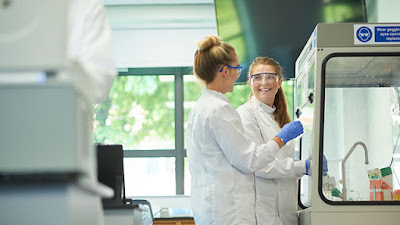 Microbiology is used largely for research and diagnostic lab studies, which covers all aspects of microorganisms like the evolution, ecology, behavior, physiology, and biochemistry alongside the pathology of various diseases caused by these organisms. The primitive form of today’s advanced microscopes was developed during the 17th century, from where microbiology evolved as a specialty. It was Anton von Leeuwenhoek who first published observations about bacteria. Microbiology also disproved a long-existed theory called ‘spontaneous generation.’ The belief was that all living things evolved spontaneously from a combination of various organic and inorganic ingredients. For example, people once believed that the mice evolve from soiled cloth in combination with wheat. Further, the 20th century witnessed a huge advancement in microbiology, when antibiotics and vaccines were invented, and the man started using chemotherapeutic agents in the treatment of bacterial diseases. Later, DNA was found to be the primary genetic element of cell formation, which further paved way to exploring the genomes of various microorganisms. Bacteriology – it is the study of different types of bacteria. Immunology – Study of immune systems of living organisms. It has a close relation with the pathology of viruses and bacteria as well as their hosts. 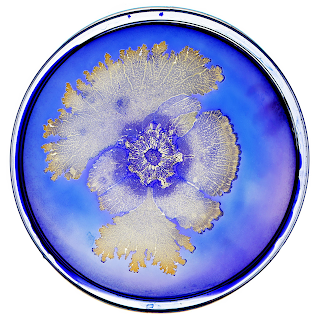 Mycology – Study of fungus-like mold or yeast. Nematology – Branch of the study of nematodes or roundworms. Phycology – Study of algae. Parasitology – Parasites as the name suggest. However, all types of parasites are not microorganisms. Bacteriology covers the study of bacterial parasites. 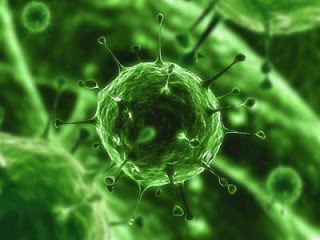 Virology – Study of the virus. 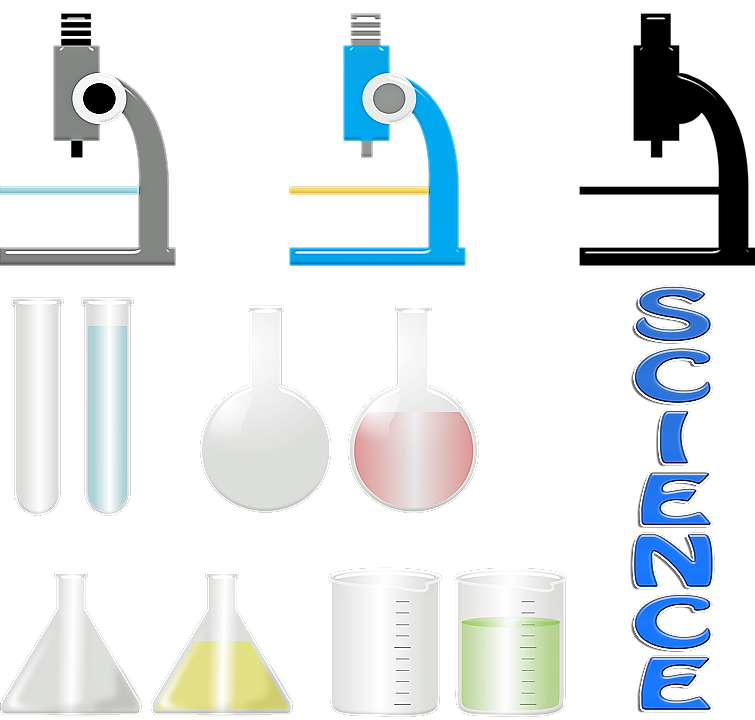 Likely to any other field of science, microbiology research can also be divided into a couple of categories. 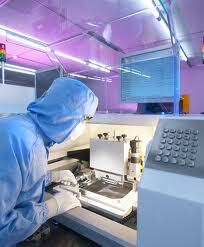 The primary variations are pure microbiology and applied microbiology. 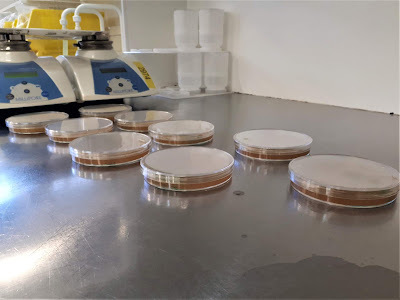 The objective of basic research is to understand the core of a scientific phenomenon whereas applied microbiology focuses on the specialist information derived from basic research and use it to find answers for specific questions and resolve problems. Evolutionary microbiology – Study about the evolution of various microorganisms. Cellular microbiology - Study of microbial cell structure and functions. Astro-microbiology - Study of life on earth and its origin and also extraterrestrial life if any. Systems microbiology – Computational (mathematical) modeling of the microbiological systems and activities. Other pure microbiology research specialties also include but not limited to microbial ecology, microbial physiology, and microbial genetics, etc. Medical microbiology – Role of microorganisms in human diseases. Food Microbiology - Study of microbial activities in spoiling and preserving food items. It also studies the food-borne illnesses. It is used in food production effectively as fermentation of beer etc. Agricultural microbiology – Interaction of microorganisms with corps, plants, and soil. 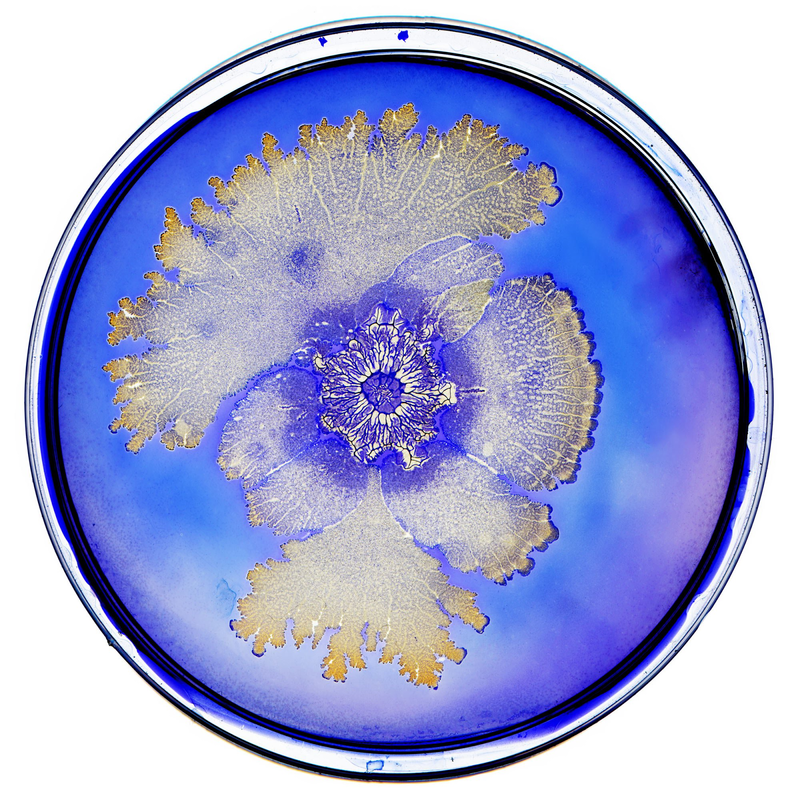 Microbial biotechnology – Usage of microbes in consumer production and industrial purposes. Pharmaceutical microbiology - Microorganisms in pharmaceutical products like antibiotics, vaccines, and other therapeutic products. Microbiology is a consistently growing scientific specialty, which is mighty enough to unveil many more hidden secrets about life on Earth, other planets, and also to better control diseases and contribute towards better living conditions. Martinez collected information from the World Health Organization, the U.S. Centers for Disease Control and Prevention, and peer-reviewed publications to create a calendar of epidemics for 69 infectious diseases, from commonplace infections to rare tropical diseases. A given year will see outbreaks of flu in the winter, chickenpox in the spring, and gonorrhea and polio in the summer -- to name a few of the best described seasonal outbreaks. 9. Keep in mind recovery will be lower on selective agar. 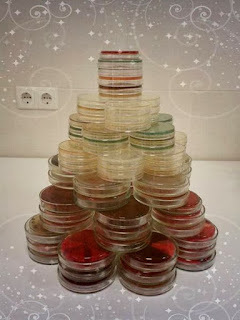 If selective agar is used, test non-selective agar in parallel using the same microorganism suspension. A higher CFU concentration for the selective agar may be necessary. 10. Don’t be surprised if the value obtained when performing tests differs from the mean assay value. 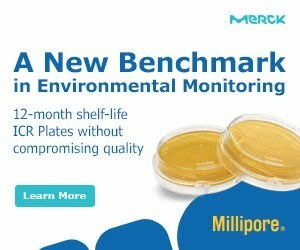 Note: Microbiologics uses non-selective Tryptic Soy Agar when testing most microorganisms. I'd like to wish all readers of Pharmaceutical Microbiology all the best wishes for the holiday season and thank you for supporting this website. Brazil's Ministry of Health received reports of 11,524 outbreaks of foodborne diseases between 2000 and 2015, with 219,909 individuals falling sick and 167 dying from the diseases in question. 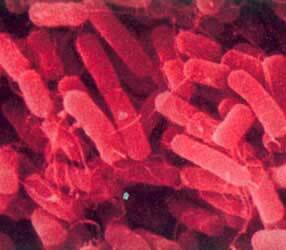 Bacteria caused most outbreaks of such illnesses, including diarrhea and gastroenteritis. The most frequent were Salmonella spp., with 31,700 cases diagnosed in the period (14.4% of the total), Staphylococcus aureus (7.4%), and Escherichia coli (6.1%). 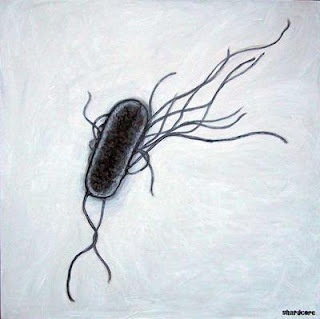 According to a survey by the Ministry of Social Development, bacteria of the genus Salmonella were the etiological agents in 42.5% of the laboratory-confirmed foodborne disease outbreaks reported in Brazil between 1999 and 2009. Whole-genome sequencing of the main bacteria that cause acute diarrhea is the research focus for a group at the University of São Paulo led by Juliana Pfrimer Falcão, a professor at the university's Ribeirão Preto School of Pharmaceutical Sciences (FCFRP-USP). 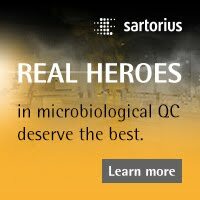 In an article published in PLOS ONE, biomedical scientists Amanda Aparecida Seribelli and Fernanda Almeida, who belong to Falcão's lab, describe how they sequenced and investigated the genomes of 90 strains of a specific serovar of Salmonella entericaknown as S. Typhimurium (an abbreviation of Salmonella entericasubspecies serovar Typhimurium). The 90 strains were isolated between 1983 and 2013 at Adolfo Lutz Institute in Ribeirão Preto (São Paulo State, Brazil) and Oswaldo Cruz Foundation (Fiocruz) in Rio de Janeiro. They provide a portrait of the epidemiology of salmonellosis in Brazil in the last 30 years, coming from all regions of the country and having been collected from patients with foodborne infections or from contaminated food such as poultry, pork, or lettuce and other vegetables. The European Pharmacopoeia (Ph. Eur.) has launched a public consultation on its new general chapter 5.1.12 on depyrogenation of items used in the production of parenteral preparations. While depyrogenation is not a new topic for the Ph. Eur., this is the first time that a dedicated chapter covers specifically the inactivation of pyrogens and related endotoxin indicators. Pyrogens are substances that can induce fever when infused or injected and must be removed from materials that come into direct contact with final sterilised products, such as primary packaging and equipment. In this new general chapter, different types of available endotoxin indicators are described (for instance, ready to use or custom made) and “depyrogenation” is defined in terms of a reduction in lipopolysaccharides (LPSs), the most potent and difficult to eliminate of all pyrogenic substances. All depyrogenation processes should be validated by adding endotoxin indicators to the load in those positions identified as the most difficult to depyrogenate. Endotoxin indicators should be suitable to the material to be depyrogenated (glass, stainless steel, plastic) and depyrogenation can be carried out through dry heat treatment, as well as other treatments, like physical and chemical procedures, when heat treatment is not possible. Users and parties concerned can submit their comments on the Issue 30.4 of Pharmeuropa until 31 December 2018. Antibiotics resistance among bacteria (superbugs) is a large and growing problem, with huge health and economic consequences in the US and around the world. 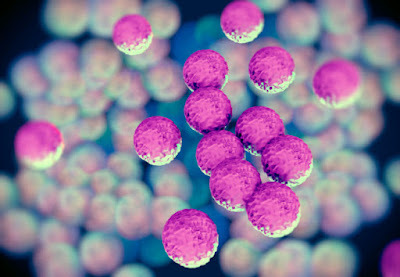 According to a new report issued by the Organization for Economic Co-operation and Development(OECD) millions of people worldwide will die from superbug infections unless countries prioritize fighting the growing threat posed by antibiotic-resistant bacteria. Currently, around 29,500 people die annually in the USA due to infections to superbugs. According to new research, drug-resistant bacteria killed more than 33,000 people in Europe in 2015. In the report, the OECD said 2.4 million people could die from superbugs by 2050, about 1 million of them n the USA. The economic toll from superbugs could be vast, reaching $65 billion by 2050, according to the report. If the report’s projections are correct, resistance to backup antibiotics will be 70% higher in 2030 than it was in 2005 in OECD countries. 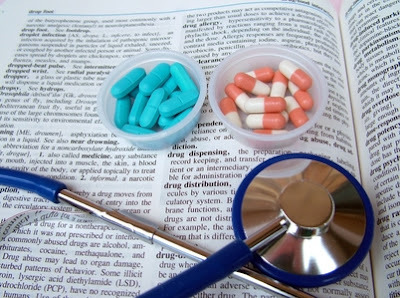 In September2018, the U.S. Centers for Disease Control and Prevention (CDC) warned that antibiotic resistance is one of the biggest public health challenges of our time, it alerted to the danger of antibiotic resistance, stating that each year in the U.S., at least 2 million people get an antibiotic-resistant infection, and at least 23,000 people die. In the USA antibiotic-resistant bacterium has increased from 20% in 2005 to 23% in 2015 and could hit 25% by 2030. According to the OECD report estimates, the growth of infections due to antibiotic-resistant bacteria will be 7-10 times faster by 2030 than currently. The report predicts that resistance 2nd- and 3rd-line antibiotics will balloon by 70% by 2030. Global crisisThe antibiotic resistance crisis is predicted to grow faster in southern Europe, including Italy, Greece, and Portugal. Low- and middle-income countries, such as Brazil, Indonesia, and Russia, will also be hit hard, according to OECD projections. The average resistance in Turkey, Korea, and Greece is ~ 35%. This is 7 times higher than in Iceland, the Netherlands, and Norway. In Brazil, Indonesia and Russia, between 40% and 60% of infections are already antibiotic-resistant, compared to an average of 17% in OECD countries. In these countries, the growth of antimicrobial resistance rates is forecast to be 4 to 7 times higher than in OECD countries between now and 2050. Better hand washing and better hygiene among health-care workers. Another key element of prevention is a more prudent prescription of antibiotics and ending over-prescription of antibiotics. Test patients more quickly to determine if patients have viral or bacterial infections. Delaying antibiotic prescriptions by three days, so that viral infection can take its course is also an option. Finally, creating more public awareness campaigns. Associates of Cape Cod, Inc. (ACC ), is pleased to announce an exciting new initiative aimed at complementing our 45 year history of horseshoe crab conservation. ACC introduces a Horseshoe Crab Sustainability Project that will help ensure a stable supply of horseshoe crabs now and for future generations to come. Working with local regulators and having received a class 1 type 4 aquaculture permit and utilizing a patent pending process, ACC collects HSC eggs, fertilizes, grows and strategically releases horseshoe crabs back into their natural environment. This program only utilizes eggs collected from bait crabs that are sacrificed for the eel, conch and whelk fisheries, extending their genetic legacy for generations to come. 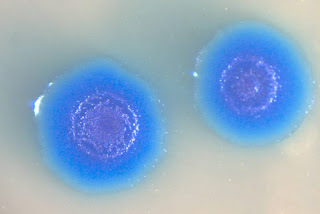 Mucormycosis is a drug-resistant fungal infection that attacks patients with weakened immune systems and those who have suffered significant trauma. The infection can be easily missed by physicians because it is so rare and reliable diagnostic assay is lacking. Even when correctly diagnosed, it is often far too late and after the infection has spreads rapidly to vital organs, making most therapies ineffective. The mortality rate for those infected with mucormycosis is around 50%, according to the U.S. centers for Disease Control and Prevention. A pair of recent studies led by LA BioMed researchers published in leading peer-reviewed research journals show that simple diagnostic systems can detect mucormycosis earlier in patients and that the biological makeup of the fungus could open the door for the development of effective therapies. The first study, PCR-based approach targeting Mucorales specific gene family for the diagnosis of mucormycosis, was published in the August edition of the Journal of Microbiology. Researchers found that mucormycosis can be identified within 24 hours post infection by targeting specific gene family, CotH, in blood and urine tests. 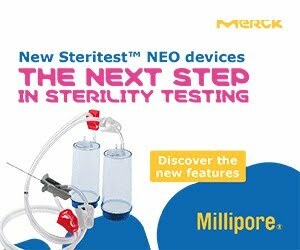 The breakthrough shows that mucormycosis can be diagnosed earlier with simple techniques - if physicians know what to look for. The second study, Iron restriction inside macrophages regulates pulmonary host defense against Rhizopus species was published in the August edition of Nature Communications. Reserachers found that the organisms that cause Mucormycosis escape treatment by going into white blood cells and staying dormant. Once treatment stops, they come back and kill the blood cells and infect the organs again. The groundbreaking discovery may lead the way to effective therapies to stop mucormycosis from spreading. Malaria-infected red blood cells trigger the immune system's first line of defense by releasing small vesicles that activate a pathogen recognition receptor called MDA5, according to a study published October 4 in the open-access journal PLOS Pathogens by Peter Preiser of Nanyang Technological University in Singapore and Jianzhu Chen of the Massachusetts Institute of Technology, and colleagues. Malaria is a major public health concern caused by parasitic microorganisms that belong to the genus Plasmodium. A better understanding of early host response and the determinants of immunity are essential to developing innovative therapeutic approaches. Natural killer cells are important immune cells that provide the first line of defense against malaria infection but show significant differences in their responses in the human population. The molecular mechanisms through which natural killer cells are activated by parasites are largely unknown, and so is the molecular basis underlying the variation in natural killer cell responses to malaria infection in the human population. To address this gap in knowledge, Preiser, Chen and colleagues analyzed transcriptional differences between human natural killer cells that respond and don't respond to malaria infection. Natural killer cells that responded to Plasmodium-infected red blood cells had higher levels of MDA5, which was activated by small vesicles released from the infected cells. Treatment with a small molecule that activated MAD5 restored the ability of non-responder natural killer cells to clear infected red blood cells. The findings suggest that MDA5 could contribute to variation in natural killer cell responses to malaria infection in the human population. Moreover, the study provides new insights into a mechanism by which natural killer cells are activated by parasites and reveals a possible molecular target to control malaria infection in humans. The scientists have reported their research findings to the 256th National Meeting & Exposition of the American Chemical Society, which took place in mid-August 2018. The meeting attracted around estimated 13,000 chemists, chemical engineers, academicians, graduate and undergraduate students, and other related professionals. The new method makes use of light to activate oxygen. This leads to the death of bacteria, including the means to destroy antibiotic-resistant bacteria. The research is focused on the inactivation of methicillin-resistant Staphylococcus aureus (MRSA). MRSA is responsible for several difficult-to-treat infections in humans. 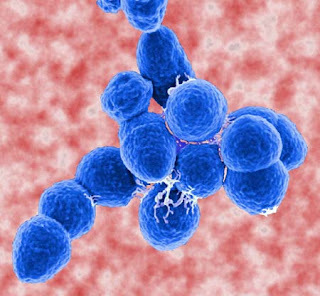 MRSA infections mainly affect people who are staying in hospital. Infections can be serious. Treatment is through antibiotics, but there is a growing concern that some types of pathogenic bacteria are increasingly resistant to antibiotics. Photodynamic inactivation of bacteria is considered as one of the promising approaches to overcome the problem of drug resistance. 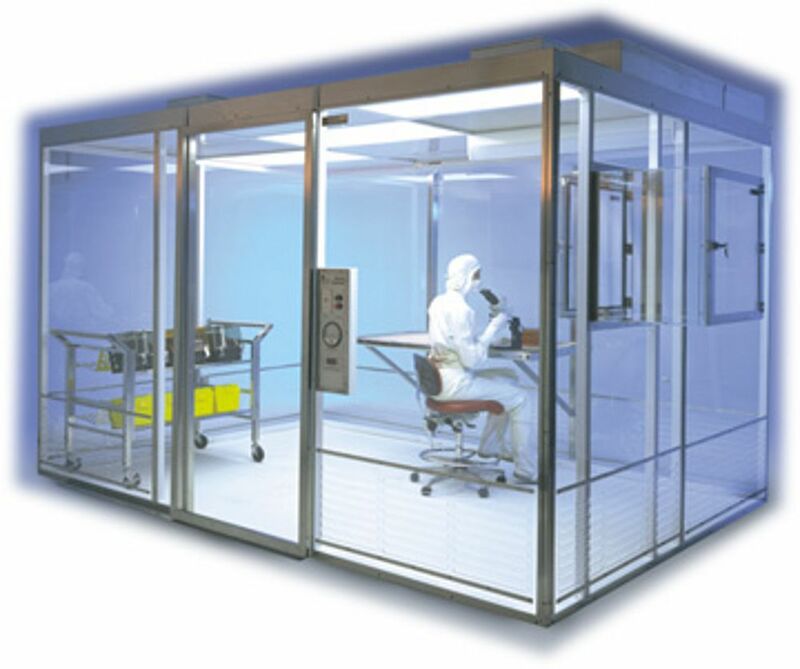 The process utilizes a photosensitizer, oxygen, and light of appropriate wavelength. With the method, the photosensitizers (a molecule that produces a chemical change in another molecule in a photochemical process) convert oxygen into reactive oxygen species that attack the bacteria. Reactive oxygen species can trigger significant damage to cell structures. 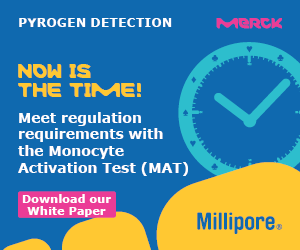 This process was improved by the researchers through the inclusion of metal nanoparticles, which promote the generation of more reactive oxygen species and direct the process of cell killing to specific sites on the bacterial cell wall. 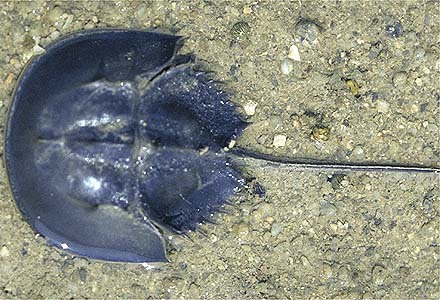 The application of red light further boosts the efficiency of the kill process. There is also a potential future application with the technology in terms of treating cancer by oxidizing cancerous cells. The technology is being developed in both gel and spray form.